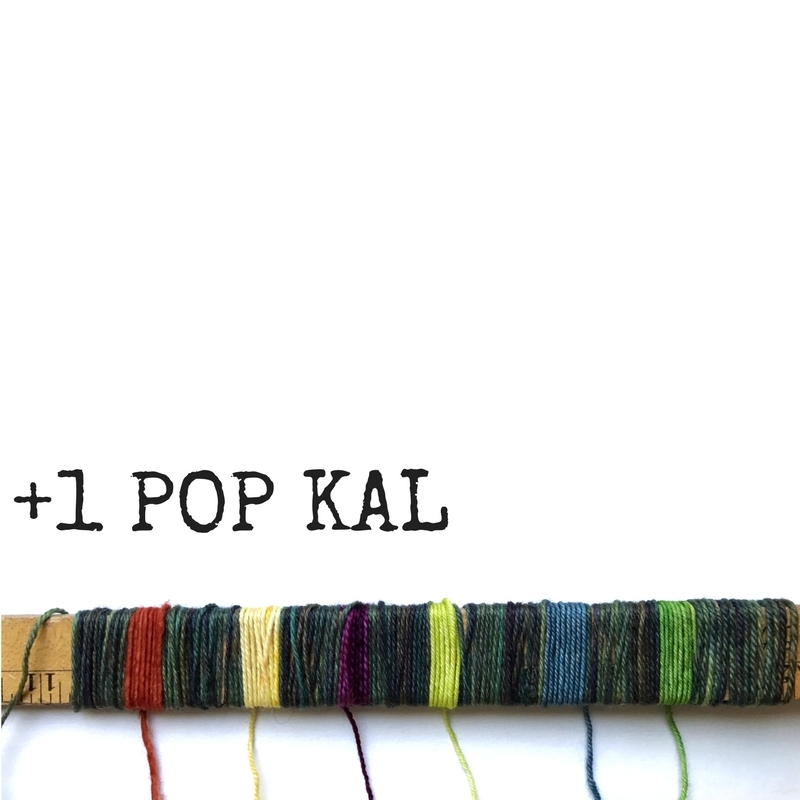 With 7 patterns, different techniques, and a kazillion colour combinations to choose from, the +1 Pop patterns need a KAL, don’t you think? I do! Whether you’re looking to drool over other people’s projects, ask for colour advice, or need help with one of the patterns, come on over to the Ravelry KAL thread. WHAT: A Knitalong for patterns in the +1 Pop Collection, including the Ancyra Cowl published in Knitty.com. WHEN: From now until the end of 2017. The last +1 Pop pattern will be published in November, and I’m giving everyone until the end of December to get their projects knit and posted. Prizes will be drawn on January 1, 2018. PRIZES? Yes, prizes. The grand prize will be a ‘fistful of minis’ from Sun Valley Fibers! The winner will get to choose 8 mini skeins and I’ll pay for them. Sweet! Also, there will be a few other prizes. Details to come. No minimums or maximums. Whether you make 1 pattern, all of them, or 13 of one pattern, each one counts as an entry. It doesn’t matter if you started and/or finished the project before the KAL was announced. The thread has explanations for how to enter (it’s simple), and I can’t wait to see you, your chatter, and your project pictures over there.